Whether eating meatless meals once a week or every day, a vegetarian-based diet is anything but boring, considering the selection of vibrant, whole foods available in grocery stores and markets. Vegetarian Any Day will show you how to incorporate more tasty vegetables, ancient grains, and whole foods into your daily routine with satisfying and fool-proof recipes the whole family will love. No one will feel the loss of meat in their meals when these comforting and healthy dishes hit the table! These everyday recipes show you how to expertly blend the heartiness you crave with the nutritional powerhouses you'll find in your produce aisle. 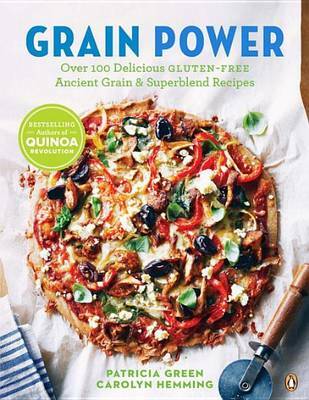 As an added bonus, many of the recipes are gluten-free, dairy-free, and vegan. Vegetarian Any Day is filled with cooking tips, preparation techniques, as well as valuable know-how in setting up a vegetarian pantry. 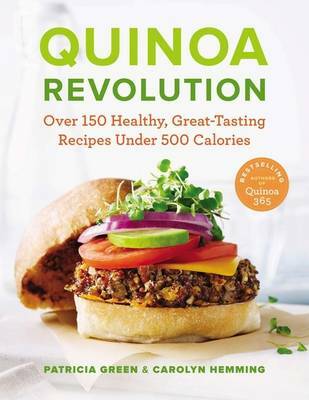 Including more than 100 recipes, there's something for everyone in Vegetarian Any Day. You'll be covered at mealtimes with delicious recipes like Hot Bok Choy and Shiitake Mushroom Soup with Black Garlic, Ancho Tempeh Chili, Avocado & Pink Grapefruit Savoy Cabbage Salad with Sumac, Hot Barbecue Veggie and Superslaw Sandwiches, Spicy Farro Enchiladas with Monterey Jack Cheese, Zucchini-Tomato Pasta with Garlic Thyme Cashew Cream, and so many more! Buy Vegetarian Any Day by Carolyn Hemming from Australia's Online Independent Bookstore, Boomerang Books. 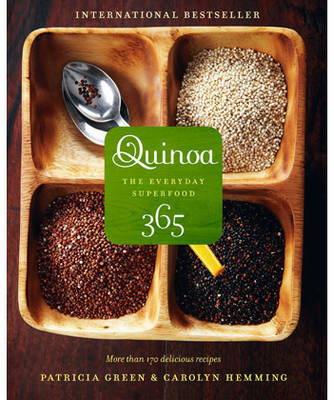 PATRICIA GREEN and CAROLYN HEMMING are sisters and bestselling authors of Quinoa 365, Quinoa Revolution, Grain Power and Sweet Goodness. They are both passionate about healthy living. Their cookbooks are known for bridging the gap between traditional eating habits and healthier options with easy-to-prepare recipes that are uncomplicated and full of flavour.